SAN FRANCISCO, CA — February 21, 2014 — BitPay, a provider of business solutions for virtual currencies announced its participation as a premier sponsor at the LAUNCH Hackathon 2014 in San Francisco, CA. The event begins on Friday, February 21, 2014 at the San Francisco Design Center. LAUNCH Hackathon is a global effort being held in conjunction with The Startup Weekend and Up Global, with attendees competing for over $2 million in investment and many other prizes. Over 1,000 developers will be competing in the 48-hour Hackathon, which aims at encouraging additional development of open-source tools that will benefit the Bitcoin and digital currency communities. As a premier sponsor, BitPay is offering an additional financial benefit for developers who utilize BitPay’s Bitcoin Payment Gateway API or the new open-source library, Bitcore. The company recently announced Bitcore, an open-source Bitcoin project aimed to make it easier for developers to interact with the real Bitcoin network. 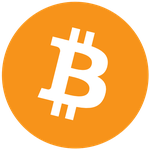 The interface is completely native to the Bitcoin network and provides the required core functions needed to develop new bitcoin applications. Bitcore enables the continued innovation of the Bitcoin community as a whole and diminishes the barrier to entry for individuals who are new to bitcoin. Winners of last year’s Hackathon were Wizzywig.io, a complete website platform that provides users with a code-free environment to create personalized web pages; and Ramen.is, a software funding platform for startups. The judges for this years LAUNCH Hackathon will include Om Malik of GigaOm, Jeff Sandquist of Twitter, and Zal Bilimoria of Andreessen Horowitz. The LAUNCH Hackathon will bring over 1,000 innovative developers and businesses together and through BitPay’s sponsorship, will give individuals the opportunity to be rewarded handsomely for their efforts within the Bitcoin community. BitPay is a Payment Service Provider (PSP) specializing in eCommerce, B2B, and enterprise-grade bitcoin payment solutions for online and in-person. Visit https://bitpay.com.